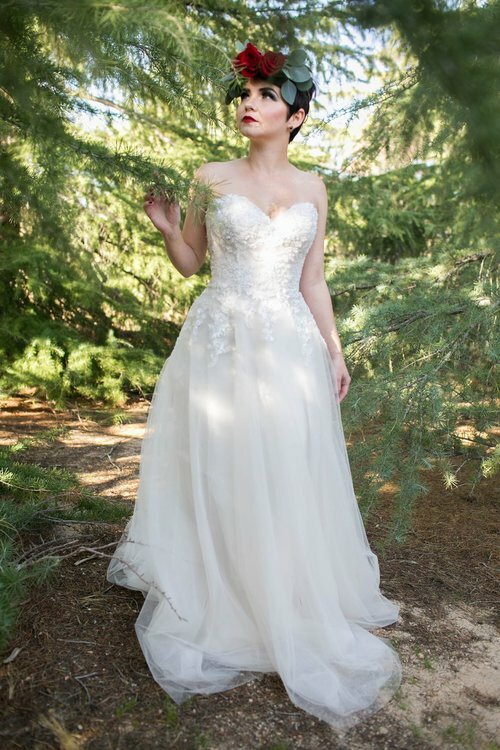 Located in the high desert of Hesperia, California there is a very special place for brides. 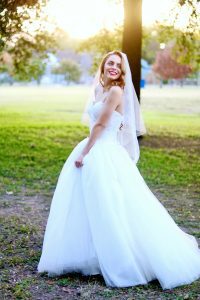 Smitten Bridal is a beautiful, family-owned bridal boutique that provides every client with an intimate, and unique bridal experience. 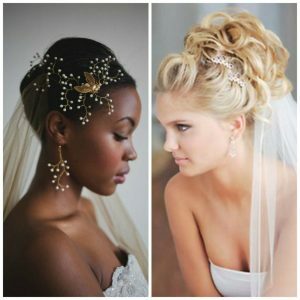 This fresh, modern salon operates on a “by appointment” basis, and because of this policy, each bride who visits gets one-on-one time with their stylist. 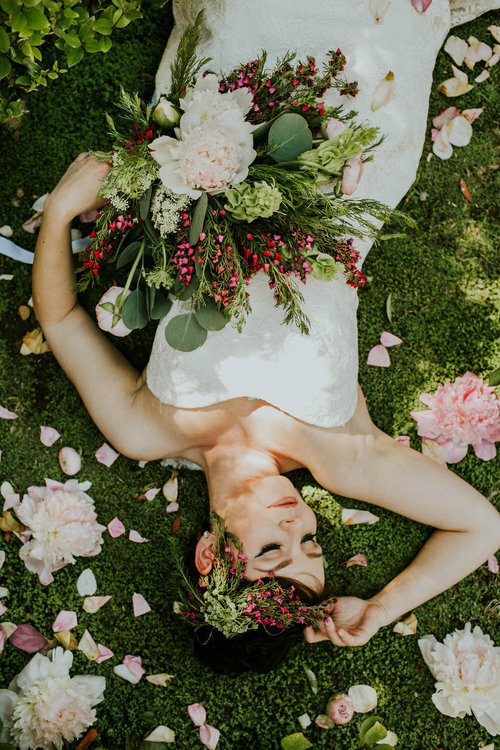 Besides attentive and personal service, the Smitten team also works hard to ensure every bride enjoys a fun, stress-free appointment too. 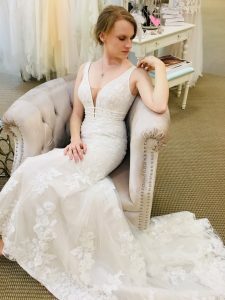 After all finding a dress is an important step in the wedding planning process and they want to make sure their brides have a memorable experience. Ashley and Michelle absolutely love what they do and it shows. Their caring, personalized approach is perfect for brides because they truly understand how important a wedding is. 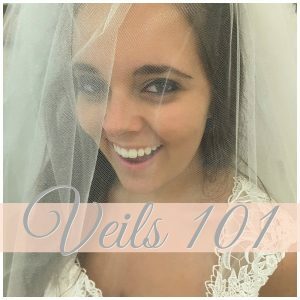 They’re here to help each bride find the perfect dress for one of the best days of her life in a carefree, happy atmosphere. 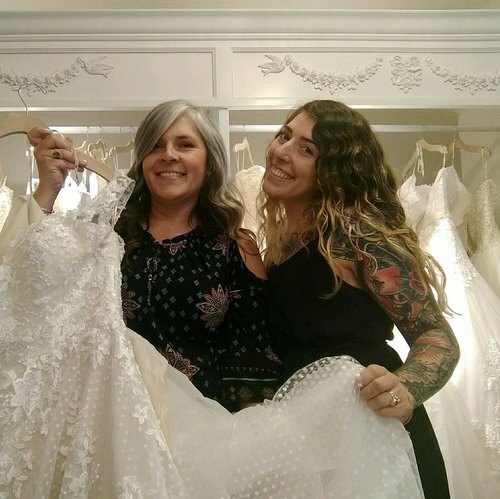 The pair, pictured below, is having fun in the boutique showing one of their favorite gowns, Meryl by Maggie Sottero. 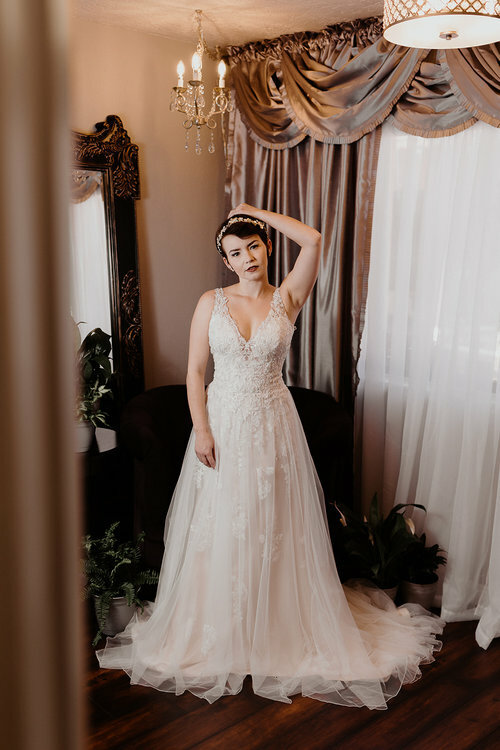 Smitten Bridal offers an expertly curated selection of the latest bridal designs by Maggie Sottero, Sottero & Midgley, Calla Blanca, L’Amour, Smitten Bridal, Rebecca Ingram, Wilderly Bride and Hailey Paige Occasions. 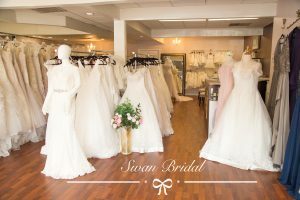 They offer a comprehensive choice of sizes and styles, so no matter what a brides’ tastes, this boutique has them covered. 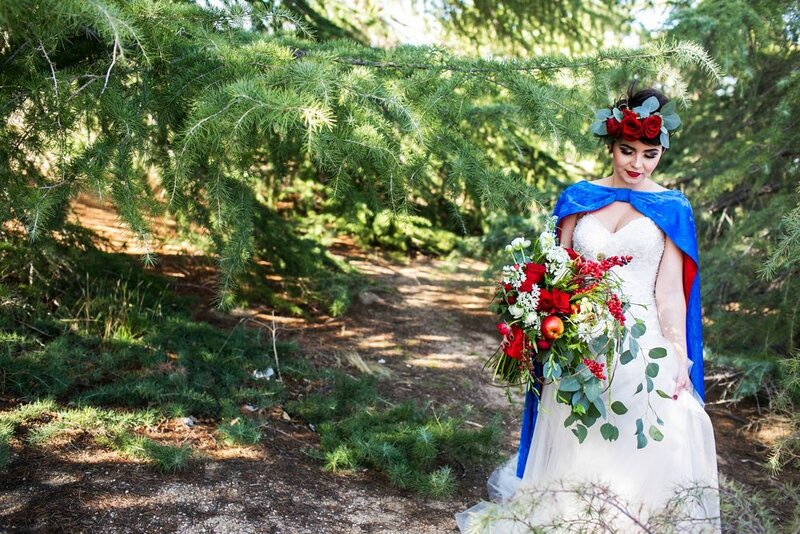 Just wow…The cape, the floral crown, the cascading bouquet. Such an enchanting image! Is this not so gorgeous? The roses, the eucalyptus, the makeup, the setting. 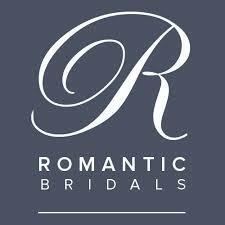 We are swooning here at BridalBoutiques.US. 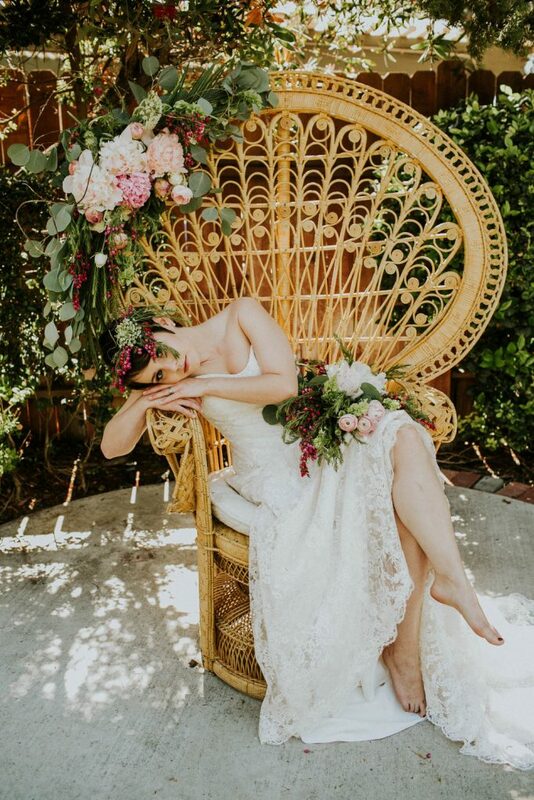 Another show-stopping photo shoot, entitled “The Peacock Chair,” was artistically captured by Michelle Bongirno Photography. 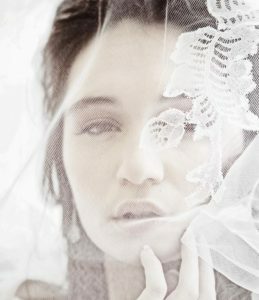 Beautiful model Laura Shane stars as the bride. 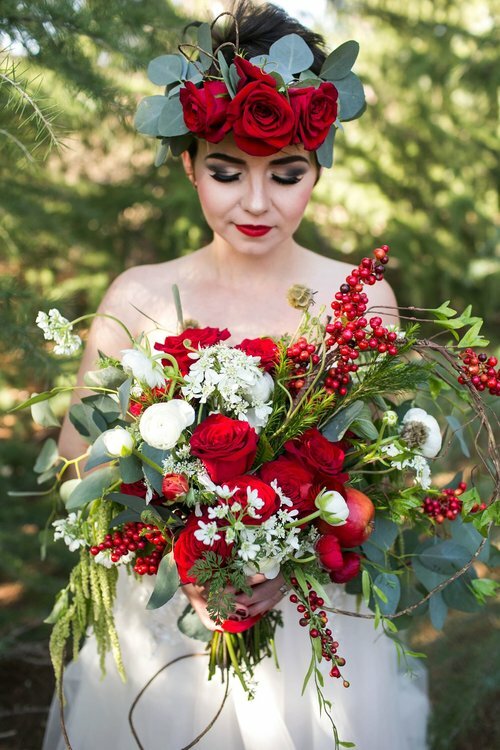 The elegant swags of greenery and florals, bouquets, and crowns are all the creative work of Debi Adams. 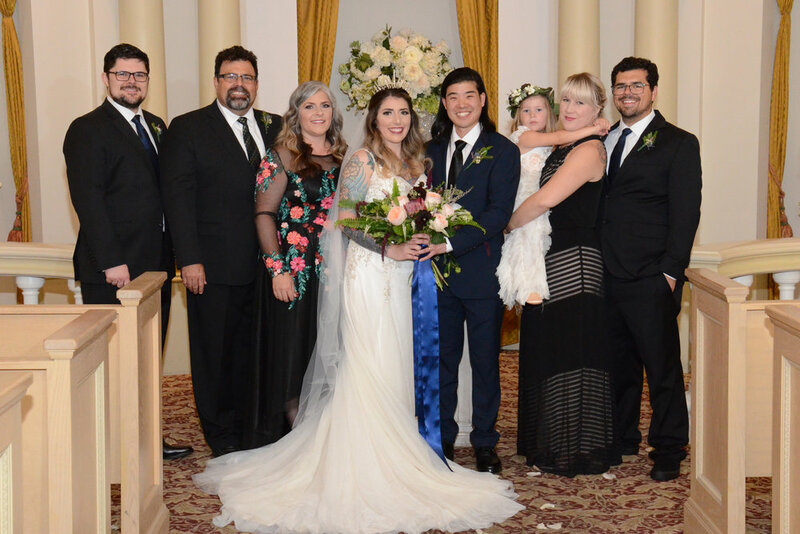 The bride’s perfect hair and makeup are by Tauna Ruth, The dress, of course, is from Smitten Bridal. Oh, and that fabulous chair is from Monicsupplyco. 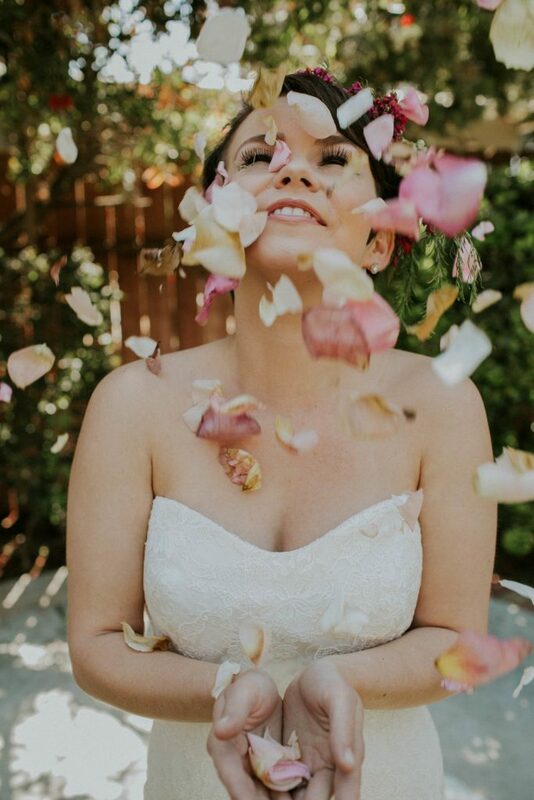 This joyful, beaming bride tossing handfuls of rose petals in the air captures the feeling we’re pretty sure every bride has when they visit Smitten Bridal. 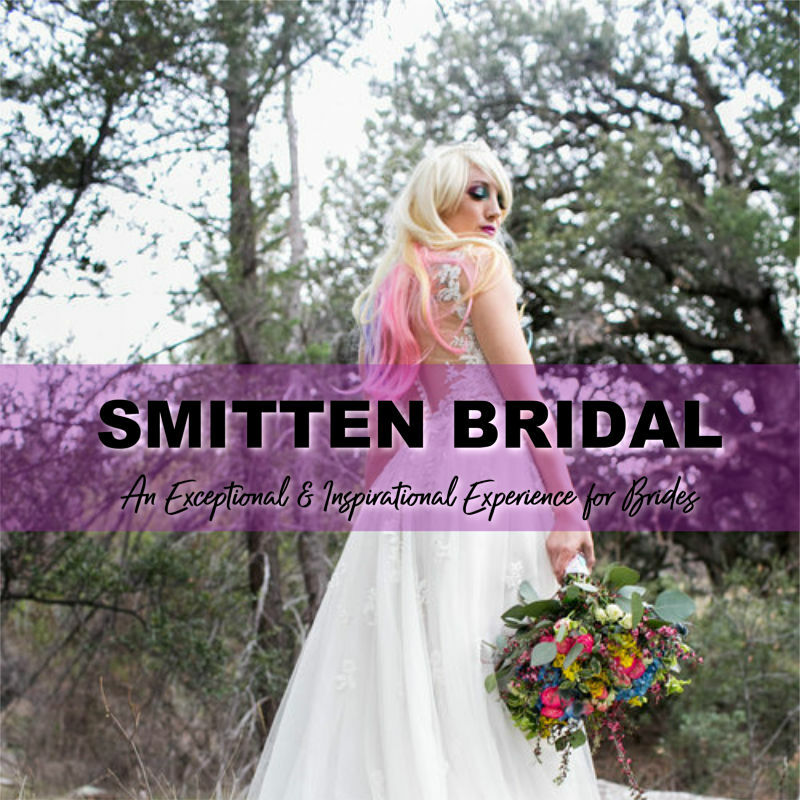 If you are a bride looking for a dress in California, schedule yourself an appointment at Smitten. We know you’ll be so happy you did. It will be exceptional!